CSL Equipment Ltd is proud to announce our partnership with SSE Machines in China as their Canada forklift distributor. With our 25 years of retail and 60 years of their manufacturing experiences, we are very confident that we will become a very strong team in the material handling equipment industry in Canada. We are now inviting you to be one of our dealers wherever you are in Canada from the east to the west coast. Please do not hesitate to contact us via sales@cslequipment.com at anytime. Some hunters love the Ambush iS’s sneaky quiet 2WD electric power-train. Some love the big-time range of the 2WD gas engine. They all love the fact that you can combine both for aggressive, all-day, 4WD power. While you use the gas engine, the electric battery automatically recharges. So use the gas to get you there, then electric to sneak in for the kill. The Ambush iS brings it day after day, season after season, with ruthless and versatile power. Whether it is a golf or transportation cart, we can customize to whatever you like it to be. A rugged all-terrain vehicle can be very versatile for your acreage or farm to carry out any of your project. 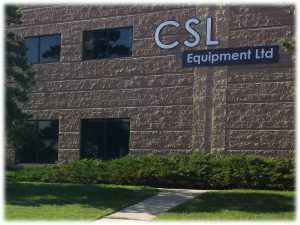 CSL Equipment Ltd. Your number one source for utility, golf and material handling equipment. We provide a wide range of products and services to suit your needs and budget. SSE FORKLIFTS - The equipment SSE Forklift offers is well designed adopting state of the art industry technology, manufactured under strict and standard production process, all the components we use are from leading suppliers to ensure the machine performance. E-Z-GO Golf and Utility Vehicle - Since 1960 E-Z-GO has been a pioneer in the design and manufacture of golf cars, utility vehicles and personal transportation. BAD BOY BUGGIES - Whether you need the agile 2WD HDe, the unrelenting 4WD power of the RECOIL, the ability to switch between independent gas and electric powertrains for ultimate range with the Ambush 4X4 hybrid, Bad Boy has the right vehicle for dominating the trail ahead, with range, power and performance unmatched by the competition.